Create a two page spread for the March/April issue of Children's Ministry magazine. 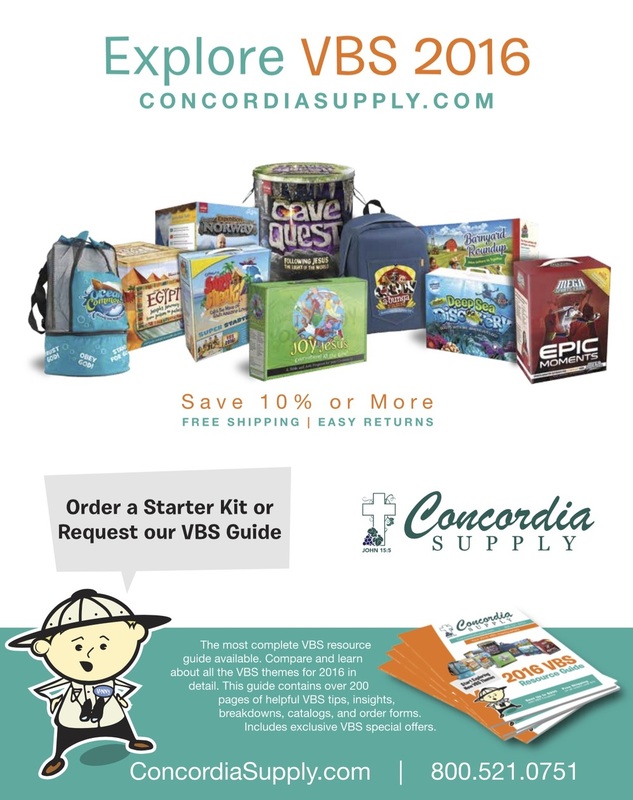 Highlight Vacation Bible School kits. I reviewed previous ad designs and as many Children's Ministry magazines as I could get my hands on. I noticed that most ads simply showed the product and listed key features. Since this ad would be featured on the inside cover, I wanted to take some risks. Concordia Supply has been serving churches for over 60 years, but has never really communicated a brand personality. The company is passionate about ministry, experienced in the industry, and they genuinely care about their customers. How could I not highlight that? I positioned the company to connect with a key pain point of their customers. Vacation Bible School (VBS) is one of the most labor-intensive, exhausting, yet rewarding events for Children's Ministry pastors. When I found this photo, I immediately connected with it and knew I could apply it to VBS customers. I kept the design clean, punchy and to the point. The result is a memorable ad that pushed the brand to a new level. The following ads were provided as references and played a big role in my design process.